You will likely remember the moment you discovered that you were being investigated in relation to a kidnapping for the rest of your life. From what feels like one moment to the next, you became the subject of a federal investigation. You are now in the firm grasp of the FBI, uncertain about your rights and your future, and doubtful about your freedom. 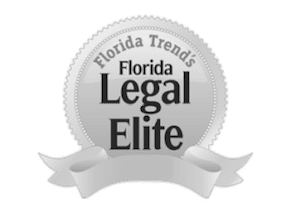 It is at this point that a federal kidnapping attorney in Orlando can intercept the investigation and ensure your constitutional rights are protected. Likewise, federal jurisdiction over kidnapping applies in cases in which kidnapping victims are transported across state lines. Congress enacted the Federal Kidnapping Act in 1932 following the famous abduction and murder of Charles Lindbergh’s son. The new law established kidnapping as a federal offense once the kidnapper crosses state lines with his victim. When a kidnapper crosses a state border, the Federal Bureau of Investigation pursues the case as they have better resources to handle offenders on-the-move than state and local authorities. The Federal Kidnapping Act makes kidnapping a felony offense for which a person who is convicted may face up to 20 or more years in a federal prison. When the victim is a child, these penalties may increase. If a person dies in a kidnapping offense, the death penalty may be considered an appropriate sentence. The Federal Kidnapping Act also allows for parents to be prosecuted when they kidnap their children and take them abroad without the permission of the other parent, spouse, or guardian. The moment you find out that you are being investigated by the FBI or other federal organization for a serious kidnapping offense is the moment you need to pick up the phone and contact attorney Brice Aikens of The Umanksy Law Firm. Mr. Aikens is a board-certified criminal trial lawyer dedicated to those facing federal criminal accusations throughout Orlando and Central Florida. The sooner you get in touch, the better your chances will be of obtaining desirable results. Call 407-228-3838 or contact us online to schedule a free consultation.